Station Hollywood: Sadashiv Amrapurkar is still remembered for innovative performances. Sadashiv Amrapurkar is still remembered for innovative performances. 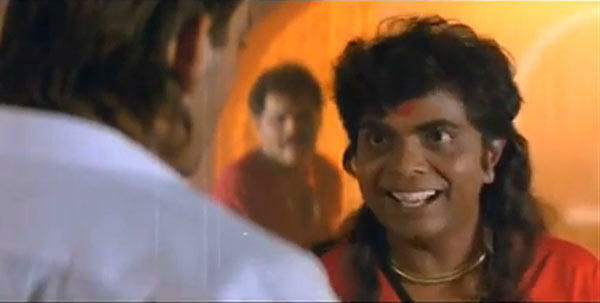 Sadashiv Amrapurkar will be remembered for his acting. On 3rd November, 2014, actor Sadashiv Amrapurkar passed away at the age of 64 years. He was suffering from lung infection for more than 2 weeks. He had contributed a lot in Bollywood films. He was born on 11th May, 2050. He was brought up in Ahmednagar. In 1981 he acted in the play Hands Up. He was a great break by director Govind Nihalini in the film Ardh Satya in 1983. He acted in the role of a Mafia Don and balanced the brilliant performances of other stalwarts like Om Puri and Amrish Puri. He also received the filmfare best supporting actor award for the performance in the film Ardh Satya. From that time onwards his image as a villain was recognized. He played notable characters in Jackie Shroff Film Teri Meherbaniya, Amitabh Bacchan’s film Akhree Rasta, Amitabh Bacchan’s film Indrajeet, to name a few. In 1991 his performance in Sanjay Dutt’s film Sadak in role of a eunuck Maharani, made him a big star. The negative role not only gave him the filmfare award for the best villain in the same year but created a new dimension in the world of negative roles. He also acted in many relief roles and comedy roles. In films like Amir Khan’s Ishq, Bobby Deol’s Gupt, Akshay Kumar Sunil Shetty’s Mohra he played positive roles and comedy characters. His ease in respect of getting into the character of the different models helped me to get important character roles for more than 30 years. The list of his successful films are very long. Right from Dil Ne Phir Yaad Kiya to Khatarnak, Insaniyat to Mohra, Janam Samjha Karo to Ankhe. The list of heroes against whom he played the role of villains is also very long including Salman Khan, Amir Khan, Sanjay Dutt, Bobby Deol, Amitabh Bacchan, Sunny Deol, Anil Kapoor, Jackie Shroff, Mithun Chakravarty and others. He also acted in regional films like Bengali films, Marathi films, Hariyanvi films, etc. Out of more than 300 films where he played important roles, at least 50 films stand out to show his versatility in acting. He had acted in both parallel films and commercial films. His films and works should be preserved. Vinod Khanna's untimely death shocked everyone. Lara Dutta should make a comeback. Happy birthday to Madhuri Dixit. June Maliya and Sayani Ghosh promoted Ekla Cholo. Happy birth anniversary of Manna Dey.